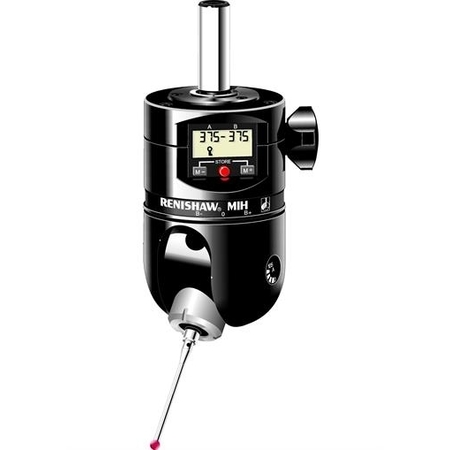 MIH/MIS-S Manual Indexable CMM Probe Head - CMM Inc.
A manually indexable head with 720 locking positions, featuring an integral LCD display and an autojoint connection suitable for most Renishaw probes. MIH system configuration: The manually indexable head (MIH) is positionally repeatable in 720 positions and features an autojoint probe mount for fast, repeatable probe changing. This ensures compatiblity with most Renishaw probes except multiwire (e.g. TP7M). An integral LCD enables easy programming with the facility to memorise up to 20 probe positions.